Your message is being processed. 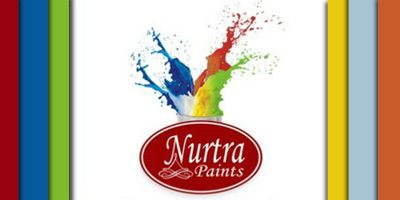 Suppliers of Quality Warrior Household & motor vehicle paints. 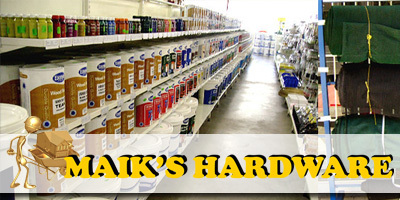 Maiks Hardware is a builder`s merchant supplying building material to small, medium and large building contractors. We also cater for the DIY enthusiast and pride ourselves in our quality products and excellent service. Our unique combination of unconquerable prices, service excellence and a promise to go the extra mile with a smile will make it easy to understand why our products have the potential to take the market by storm. 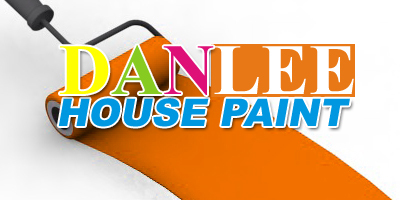 We are suppliers of an enormous range of paint. If you're looking to paint your home, office, room, etc...be sure to consult a paint retailer / supplier for assistance and advice. They are very experienced and can help you select the right colour for the right application and the right amount. You don't want to have to paint over and over till you get the desired result. 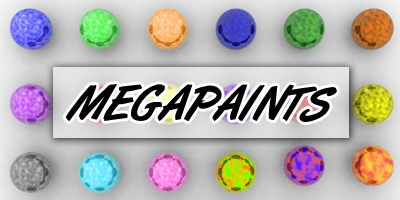 There are many different types of paints and paints colours for various different surfaces and applications so it can get rather confusing when you are looking to renovate a room or re-paint the entire house. Visit one of the retailers / suppliers above and get the right advice before taking it on yourself.